The mechanical sweeper works by picking up the debris from the roadway and moving it into the sweeping path, where the rear broom sweeps the debris onto a conveyor system. With brooms, this equipment is made for heavy debris found on larger industrial sites, new construction areas laden with mud and gravel and other such demanding maintenance areas. Used extensively on highways to remove grime and debris, mechanical broom sweepers are the workhorses of the construction etc. 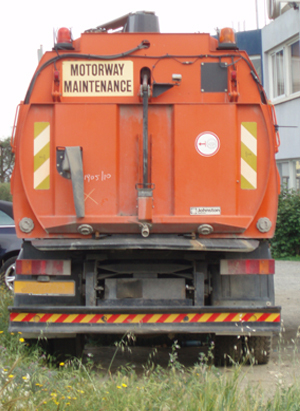 Conventional street sweeping apparatuses as, for example, commonly used by cities, consist of mobile truck-like vehicles integrally provided with disk-shaped rotatable brushes for movement of dirt and debris away from the curb toward the street into the path of the mobile unit for collection. 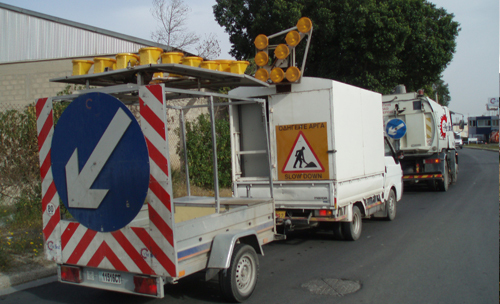 Dust is ordinarily controlled with such devices by use of water which must often be transported on the street sweeping apparatus or some other vehicle. Of course only limited amounts of water can be so supplied, necessitating expenditure of time to stop and refill. The city sweeper has been designed to clean large areas, these include multi storey car parks, town centres, building sites/highway maintenance areas and public parks. This sweeper is compact, highly manoeuvrable and easy to drive making it possible for long periods of fatigue free operation. This sweeper is designed to suit contract cleaners and councils as well as industrial companies who have a need to clean & maintain large open areas. The sweeper for outside areas are designed to clean safely, efficiently and cost-effectively on parks, school grounds, city sidewalks, leisure centres, recreational areas, amusement parks, shopping centres etc. This sweeper cleans surfaces ranging from asphalt to concrete to grass, and also picks up hard-to-reach litter in fences. We offer gardens and ground maintenance service. 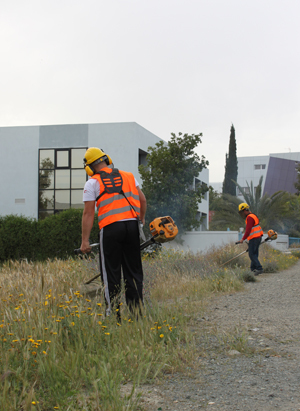 Professionally maintained grounds will improve the all-important first impression your company makes on every visitor. After all, the external appearance of any organisation reflects the way it operates internally. All our gardeners operate with quality and service in mind and throughout their work are highly visible and safe in the way they conduct themselves. If you would like to compare our company with your current ground maintenance contractors please contact us to find out more. Copyright (c) 2011 thebestmcc.com. All rights reserved. Design by Oh!MyPixel.